Metosyn is a treatment for several inflammatory and itchy skin conditions. Can I buy Metosyn online? 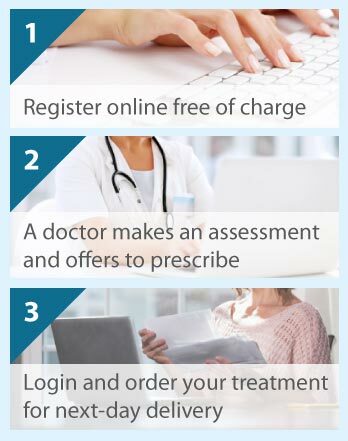 The Online Clinic can prescribe Metosyn for a range of inflammatory skin conditions. After you are approved for Metosyn by a doctor, you will able to buy this product online for next day delivery. Metosyn is a cream or an ointment preparation for topical use. It contains fluocinonide, which is a potent topical corticosteroid. Metosyn is used to provide relief from the symptoms (e.g., itching, redness, heat, dryness, scaling, and inflammation) of inflammatory skin conditions, including: dermatitis; eczema; psoriasis; prurigo; and discoid lupus erythematosus. It does not cure the condition but helps to calm any flare-ups. The active compound (fluocinonide) works by inhibiting the production of two major products involved in inflammation: prostaglandins and leukotrienes; and also by inhibiting the release of various mediators involved in inflammatory processes. Such inhibition reduces the redness, swelling, heat, pain, and other symptoms of the inflammatory response. A small amount of Metosyn is applied to the inflamed area(s) of skin. It should be gently and completely rubbed into the affected skin. Wash your hands after application, unless it is your hands that are being treated. Apply the cream or ointment at around the same time(s) each day. The amount you apply will depend on the skin area requiring treatment. This can be measured in ‘fingertip units’ (1 unit = the length from the end of to the first crease in your finger). Your doctor will inform you about the amount you apply, and the number of times per day and length of time that you apply it. The dose may be reduced with symptom improvement, before it is stopped altogether when the flare-up is over. Do not use Metosyn on open wounds, infected areas, on large skin areas, or for longer than you have been told. Unless advised to do so, do not use it on your face (avoid eyes and use for no longer than 5 days) or cover the treated skin with dressings or bandages. These precautions lower the risk of side effects. Metosyn should not be swallowed but if this happens then immediately seek medical attention. A missed dose should be applied when you remember, and the treatment regimen continued as recommended. Adults and children over the age of 1 year can use Metosyn. It must not be used by individuals who are hypersensitive to any constituent of the product. Neither should it be used in cases of skin problems caused by infection, acne, rosacea, perioral dermatitis (rash surrounding the mouth), nappy rash, and genital itching. Nursing mothers should not use the product on the breasts before breastfeeding. Take your doctor’s advice before using Metosyn if you are or may be or trying to become pregnant. All your medicines should be discussed with your doctor. Moisturisers may be used on your affected skin; use them first and allow them to be absorbed into the skin before applying Metosyn. Allergic reactions, itch at the site of application, loss of skin pigmentation, a local increase in hair growth, and worsening of skin conditions (such as acne, rosacea, and dermatitis) may occur. Using more cream or ointment than prescribed, and for long periods of time can lead to skin thinning, the appearance of small veins, and stretch marks. The corticosteroid fluocinonide can get into the blood stream, and may have effects such as muscle wasting, fluid retention, and facial roundness. These side effects are very rare with topical applications.